Way back in September I was contacted by a journalist from the New York Times to comment on the forthcoming, first ever, league fixture between Celtic and Rangers at Parkhead (I was in good company as Matt McGlone was also interviewed for said article). At the end of our discussion the NYT guy asked me to make a prediction on the result. I didn’t declare an exact score but I informed him that we had infinitely better players than them so this would hopefully be reflected in the scoreline on the day. 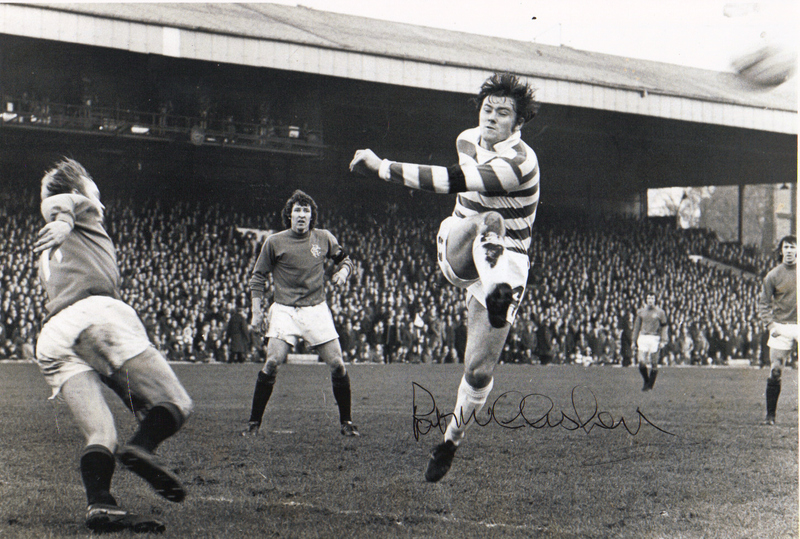 And so it panned out, with Celtic running home 5-1 winners. I’m now writing this after Celtic’s latest 5-1 success over Rangers, this time at Ibrox. Watching Rangers players closely, early on during Saturday’s game, they reminded me of something fairly familiar. How many of you reading this have played 5-a-sides and when they teams are picked you look at the opposition and think: ‘Aw naw, who the hell picked these teams ?’ You just know that the next hour is going to be a totally miserable experience as the other side are more talented and no matter how hard you try, there’s not a great deal you can do. Rangers players felt like that on Saturday. You could see the fear actually in their faces. No amount of ‘battle fever’ was ever going to affect the result on the day. Rangers officials and supporters now find themselves in financial purgatory. They are in a place they currently do not have the means to get out of. And the scary thing for them is this: Celtic’s current structure is totally sustainable, even allowing for the absence of Champions League football, should we fail to negotiate the difficult waters of the qualifiers. Rangers, on the other hand, to quote Phil McGiollibhain, are a loss making organisation without a credit line to a bank. That Celtic are so far in front, at this moment in time, is not through chance or good luck. Celtic live within their means and invest any monies raised are invested back into the team. They also have a clever four part policy to player recruitment. They rear fine young players through their youth system. 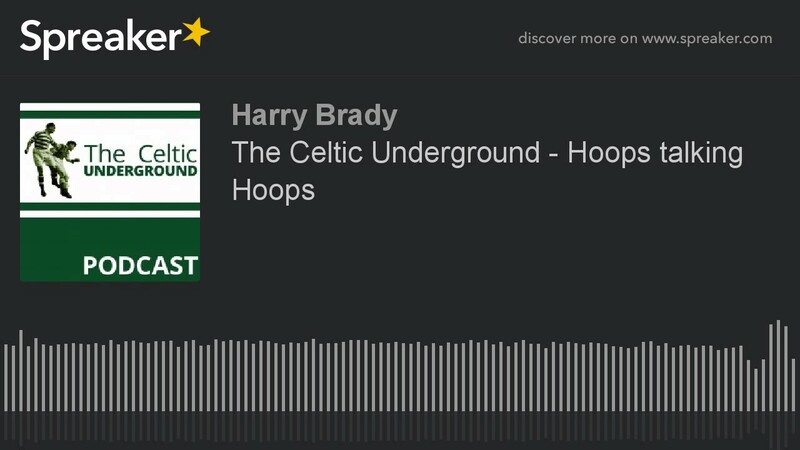 Tierney, Forrest, McGregor are best examples with honourable mentions going to Henderson and O’Connell. They recruit the best Scottish players available. This is reflected best by Brown, Armstrong, Griffiths (albeit signed from an English club) and Christie. They scout players on a worldwide basis with a view to making them better players. Best illustrated by Lustig, Izaguirre, Rogic, Biton and Dembele. The sign the best talented players possible at the highest end of our wage scale – Sinclair, Toure, Simunevic and Roberts (albeit on loan). So, it’s not a coincidence that there is the current gap in quality between Parkhead and Ibrox. Celtic steer a steady ship at board level and have a stability which enables them to plan ahead with confidence. This current Celtic squad had cost £30M to put together. That’s an enormous investment in this small country we compete in and the annual wage bill will be north of £35M. Brendan Rodgers is said to be reckoned to be on at least £30k per week for leading the Celts. Even at youth level Celtic appear to be ahead and the hope is that the likes of Aitchison, Miller, Nesbitt and the younger Dembele, will one day represent the first team with distinction. It doesn’t seem so long ago that the roles were reversed. The days when the war chest headlines were rolled out and the private jet was on standby on the runway to bring the likes of Laudrup, Gascgoine, Boli and Steven to Ibrox. At that time Celtic were investing in the services of Pat McGinlay, Stuart Slater and Andy Payton. It turns out that the Rangers foundations were built on sand, all of which is becoming apparent during the current Craig Whyte court case. Winning is, also, not meaningless to Celtic. There is the target of 10-in-a-row on the horizon. The fans have the appetite to go for it and the board also appear to have that same desire. Rangers supporters may be facing the next few seasons with trepidation. And so they should. In the six games between the teams this season, Celtic have emerged victorious on five occasions with one draw and an aggregate score of 16-4. The season which started with a 5-1 romp over our local rivals now approaches it’s end with another 5-1 spree, giving a perfect symmetry to the league campaign. Much has been written of Rangers’ failings in the past few months, both on and off the field of play. However, let’s give credit to two different groups of people. 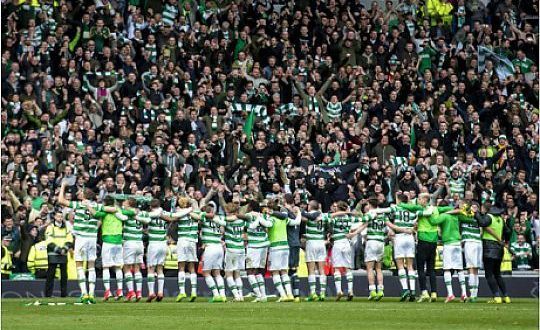 The Celtic fans, who generate tremendous funds by attending and supporting their team in such fantastic numbers, and the Celtic management, who have invested their monies in such a fantastic fashion to give us this memorable season.